Navigation, Heated Leather Seats, Sunroof, Back-Up Camera, Turbo Charged, Alloy Wheels, Power Liftgate, All Wheel Drive. Touring trim. Leather Seats, Navigation, Sunroof, All Wheel Drive, Power Liftgate, Heated Driver Seat, Back-Up Camera. Honda Touring with Gunmetal Metallic exterior and Gray interior features a 4 Cylinder Engine with 190 HP at 5600 RPM*. Edmunds.com explains "The 2018 Honda CR-V sets a new pace for its rivals to follow. 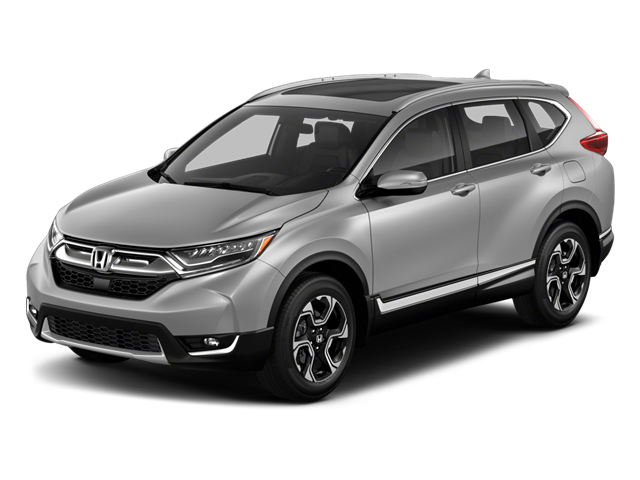 Notably, we picked the 2018 Honda CR-V as one of Edmunds' Best Family SUVs and Best Small SUVs for this year.". Hello, I would like more information about the 2018 Honda CR-V, stock# HT8384. Hello, I would like to see more pictures of the 2018 Honda CR-V, stock# HT8384.